2016-05-04. Published in category Articles. Kenneth Meredith with King Selassie Burke and Solomon Burke. I grew up in Compton California where I was always looking for a way to better my life. I started playing the trumpet in junior high school. My motivation to play trumpet came from my brother James Meredith who played the trombone with the Little Richard Band. I loved sports but playing music soon became the love of my life. Though I thought it was nerdy to play an instrument at the time, I found out later that many other athletes enjoyed playing music as well. Troy Robinson, who was a big influence in my Life, introduced me to people like Red Foxx, Donald Byrd and Richard Pryor. Those were great moments in my life. He also introduced me to different styles of jazz. Troy truly opened a lot of doors for me and I will forever be appreciative of his kindness toward me. He was also instrumental in me being recruited by the New England Conservatory in Boston MA. In 1974 I had the opportunity to play at the Southwestern Jazz Festival in San Diego California. It was there that I got a great break in my musical career. I was approached by Dr. Eddie Meadows and he invited me to join the jazz onsombo at San Diego State University. 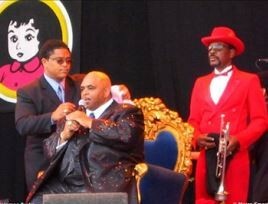 I met Solomon Burke in 1987 and played with him throughout the years. The one thing I really enjoyed was the way he always had us well-rehearsed, yet during the concerts he would play according to the mood of the crowd, Solomon always knew what the crowd wanted to hear. 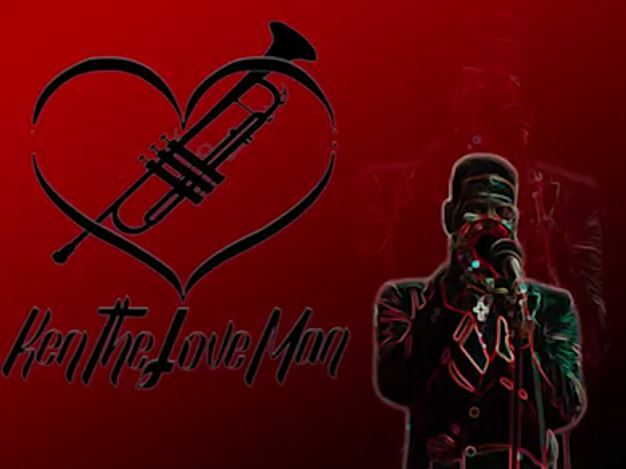 Solomon liked to pass out roses at every show, and once while in Chicago the orchestra pit was shut down and the ladies had no way of getting to Solomon. 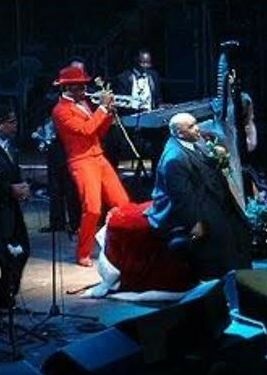 Chicago Sun Times stated that Solomon Burk was trailed by a horn player, who was the only band member dressed in a tight bright red suite and a red hat. At that time they didn’t know who the man in the suit was, but because of his participation in the show and passing out roses they nicked named him the love man. That name stayed with me through the rest of my time with Solomon. Solomon performed most of the show seated on a huge red thorn and gave out red roses like the Rev. Al Greene. The love man would come down and assist Solomon during the time the roses were being given to the ladies in the crowd; it was a great time during the show. Michael Jackson and Prince, who sadly passed away at a young age, were in my opinion among the greatest entertainers of all times. My favor horn players are Freddie Hubbard, Lee Morgan, Nat Adderley, Clifford Brown and Miles Davis to name a few. Presently I play with different local groups and have the opportunity to impart a wealth of experience that I gained as a professional while on the road with Solomon Burke. I will forever cherish the friendship that we had. The band members and I are still in contact with one another and sometimes talk about a tribute to Solomon but only with the blessing of his family. Solomon Burke had a big heart and touched a lot of people and it's mind-blowing to me that I had the chance to play with such a legend as Solomon Burke. The gift he gave to me was simply being around him and enjoying life to the fullest, he truly treated me like a son. So I take this opportunity to solute a great man, a dear friend and one of the greatest entertainers of all times, Mr. Solomon Burk.